See scan - perfect condition. 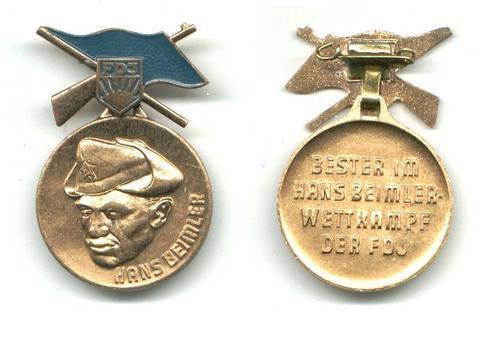 This is a nice and rare East German Communist era medal presented to members of the DDR Communist Youth Organization FDJ. Front is a portrait of Hans Beimler. Nice.